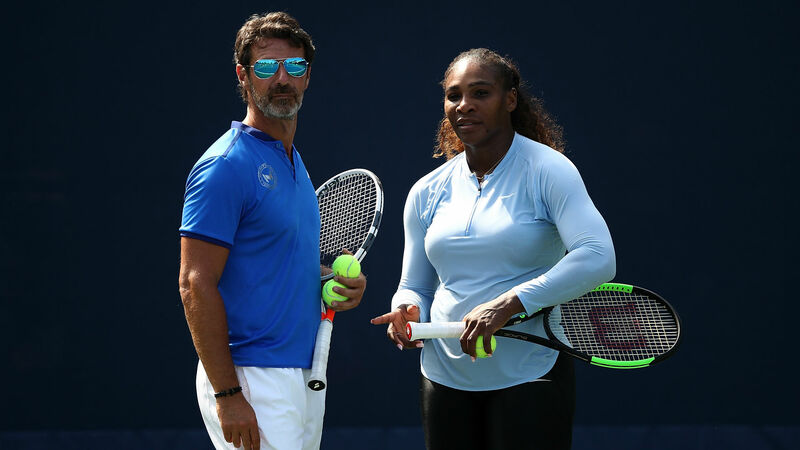 Patrick Mouratoglou, Serena Williams’ coach since 2012, says the “vast majority” of coaches break rules around on-court coaching during grand slams and says it should be allowed to “add to the drama” and make tennis more appealing. Mouratoglou raised the issue after he was deemed to have given Williams coaching during a dramatic US Open final defeat to Naomi Osaka last month. He posted on Twitter: “It is a very basic truth that the vast majority of tennis coaches are actually coaching on court, despite the rules. “Look at how many times players look towards their boxes during a match. Some do it after every single point. Of course, coaches are usually discreet in the way they give messages to their players – they do it with signs or with coded signals – but most of them also communicate verbally. “Occasionally the players are punished for it, but for the most part they are not, because the federations are perfectly aware of the situation and don’t ask umpires for a strict application of the rule. He added: “If we want to attract new people to tennis, we have to realize that our sport is complex; it’s sometimes not easy for new people to get into the sport if they are not already fans. To attract new people, you need to get them emotionally involved. “You want spectators and TV viewers to have opinions about the players – and the coaches – and to know who they like and who they don’t. Watching the interactions between players and coaches is a very good way of achieving this.